Its quick and easy to record and submit your distances. It’s easy to record the distances you’re covering and prove your miles. Toward the end of the month we will email you a form which asks if you have completed your challenge. It’s here you can let us know whether you have completed your miles and if so, where you can upload your evidence if you have it. 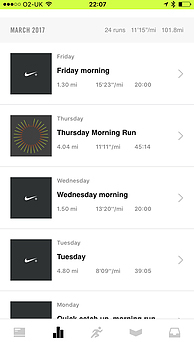 If you have a tracker, phone app (like Strava or Nike Running) or any other similar recording device it is easy to record the runs, just upload a photo or screenshot of the overall miles for the month on your evidence form and that is it! Done! If you are planning on completing some or all of your miles on a treadmill, or don’t have access to a smartphone or recording device, it’s not a problem either. Just make a note of the miles you have completed in a training log, whether this is on a spreadsheet or hand written – whatever works for you. You can work out the mileage of your route using online maps to calculate how far you’ve run if you’re unsure of the distance. To record miles on your bike you can use bike computers, trackers or apps such as MapMyRide. 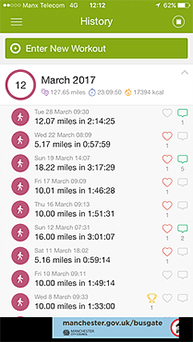 Like with the run and walk challenges, you can also create your own training log and keep track of your challenge miles that way – it all counts as evidence. If you don’t have a swim tracker the swim challenges could be slightly trickier to record, but we have made it super easy by having our very own calculator! It’s so simple to use, all you need to do is enter in the length of the pool you swim in and then add in the number of lengths you have swum to get your total distance in miles. 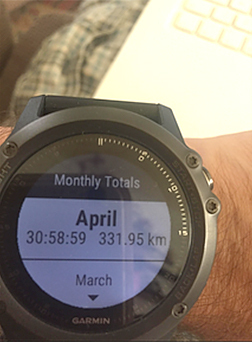 Just add these miles to a training log or screenshot the total at the end of the month for your evidence file. We have found in the past that many of our younger participants aren’t able to record their miles. This isn’t a problem. We now send all kids challenge medals automatically to the parent or guardian registered and it is at their discretion whether the medals are awarded. There is no need to submit any evidence at all for any of the kids challenges. If you are really struggling to record evidence, or something goes wrong with your phone, app, or Fitbit, please don’t worry. Just send us an email and let us know – ultimately, we do not believe anyone would falsely claim a medal they had not earned. Use this calculator to work out how much of your Swim Challenge goal you’ve completed so far.